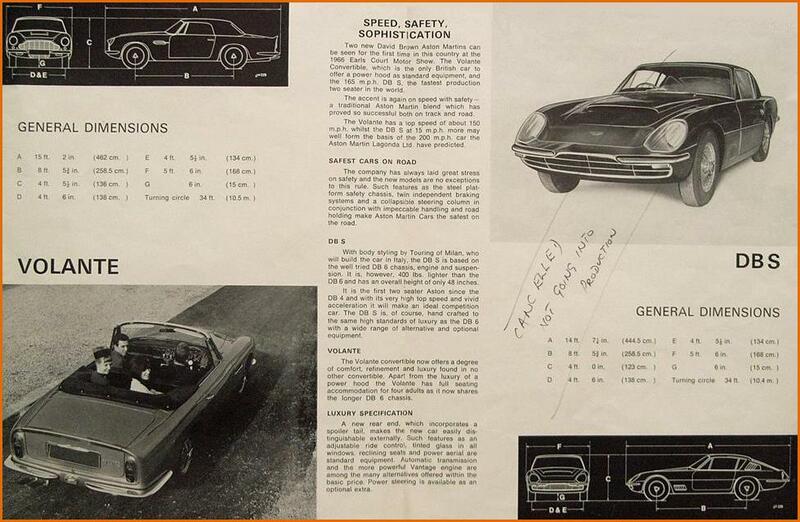 Even though Touring DBS prototype never went into production, the DBSC was used as a show car at the Paris, London and Turin motor shows. 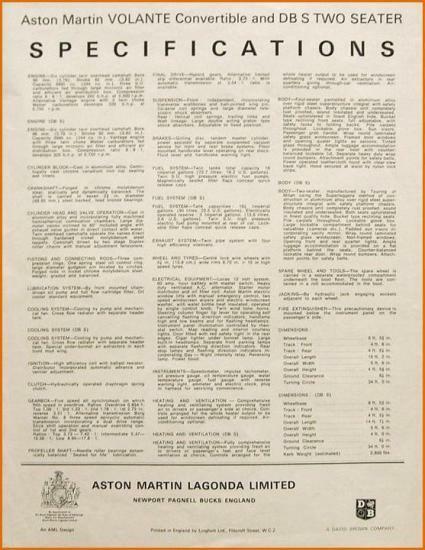 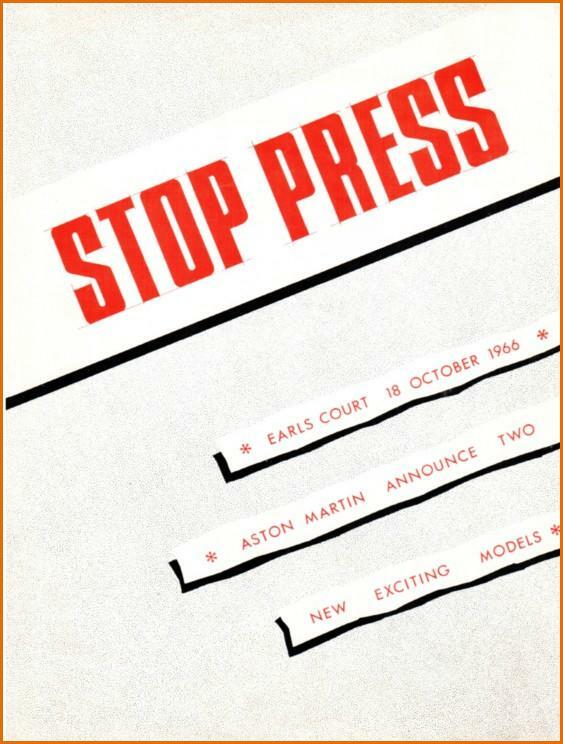 For the event, a brochure was printed to publicise the future new Aston Martin which was featured next to the DB6. The copy reproduced here has the words “cancelled, not going into production” written on it by hand, probably sometime in 1967.